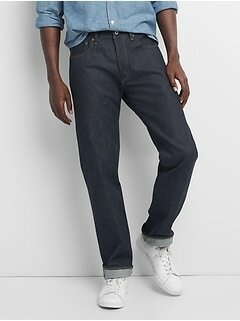 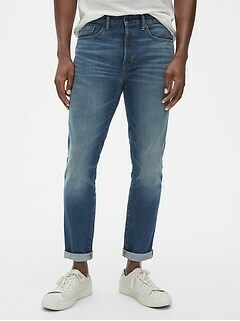 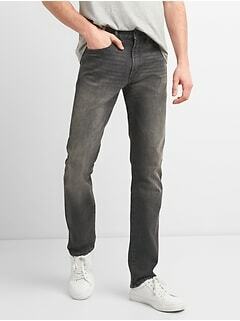 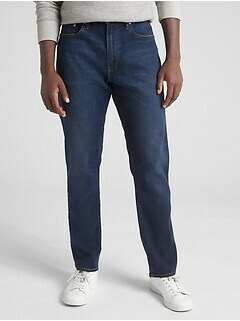 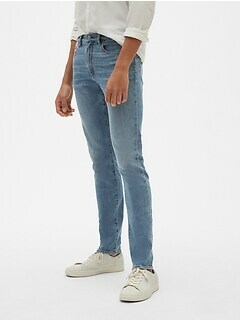 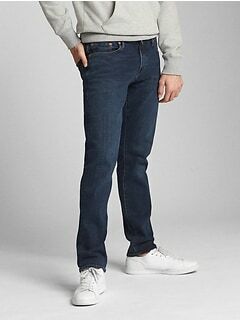 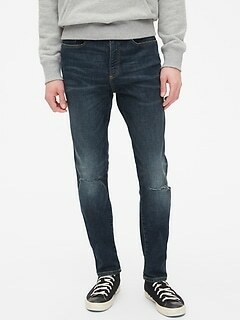 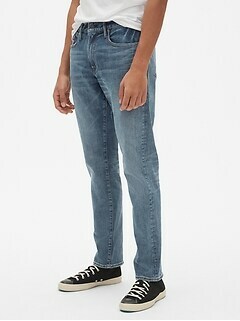 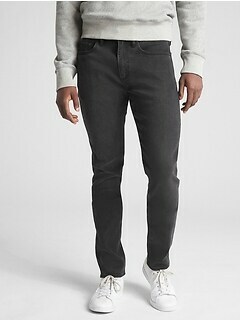 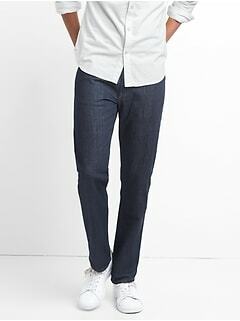 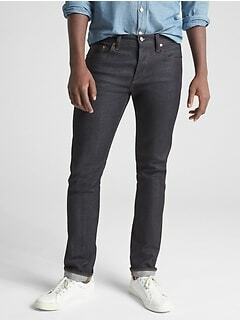 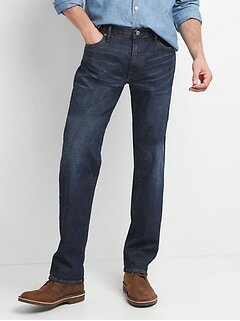 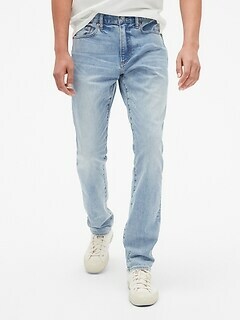 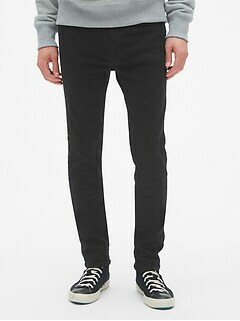 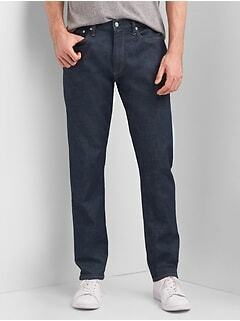 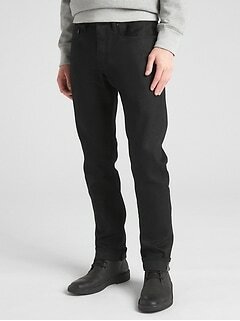 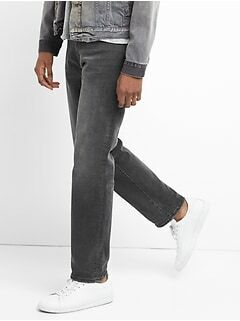 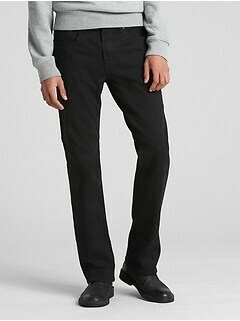 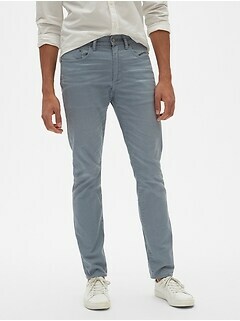 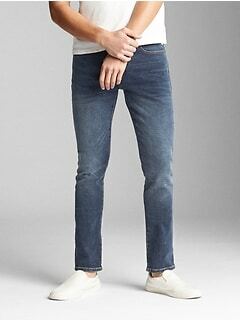 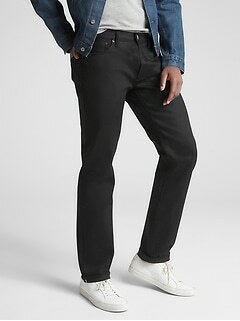 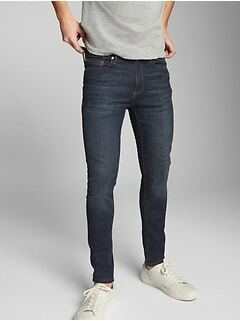 Get incredible comfort and undeniable style with classic and cool men's stretch jeans from Gap. 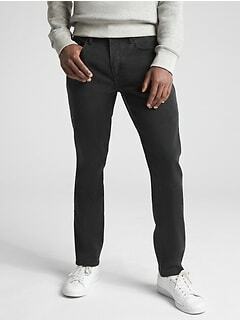 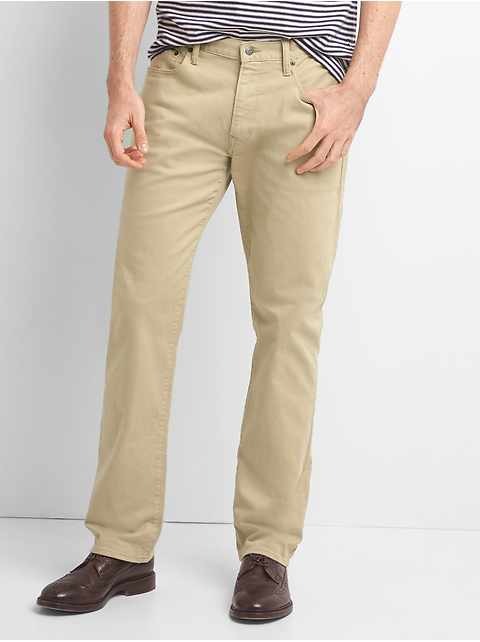 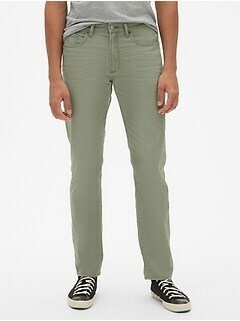 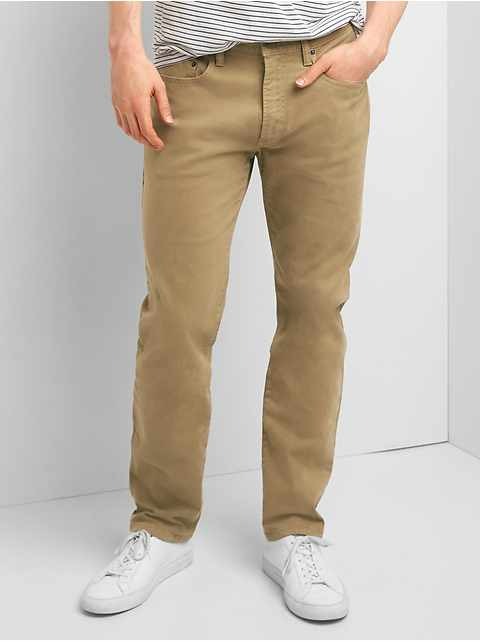 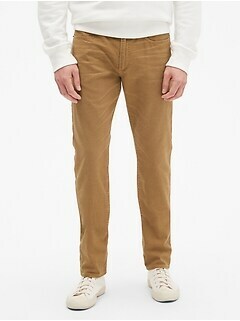 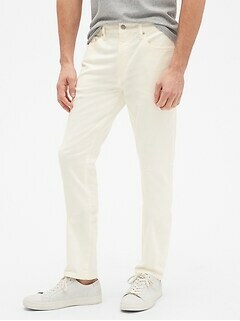 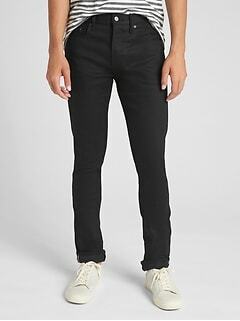 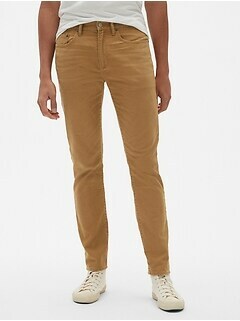 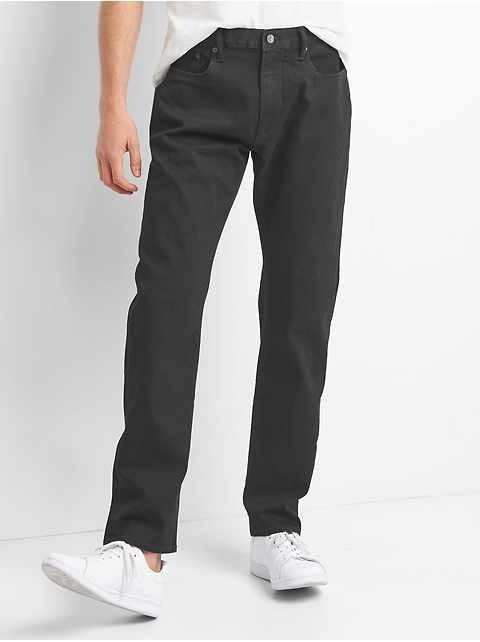 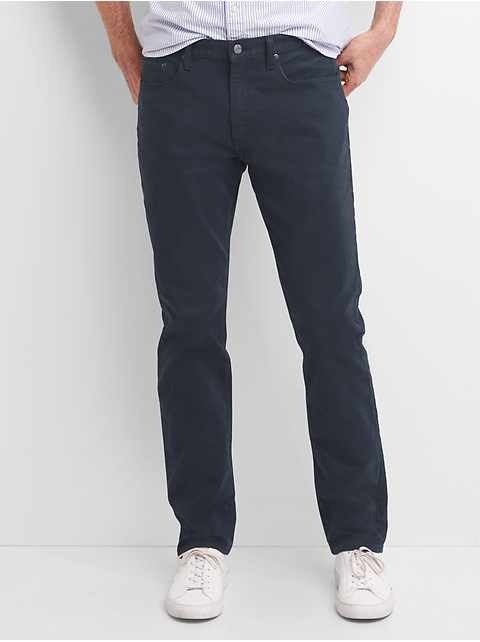 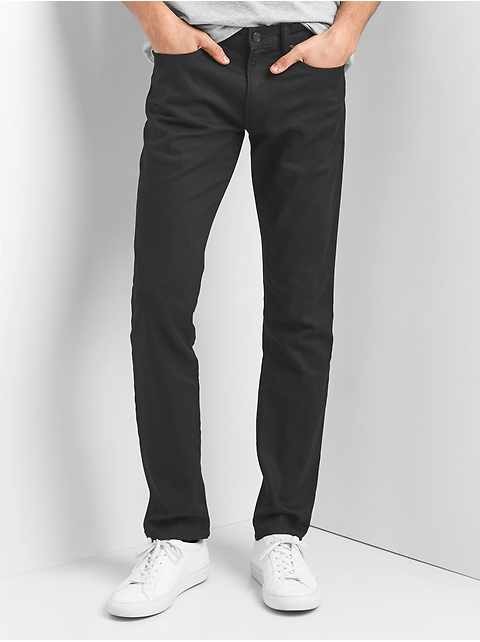 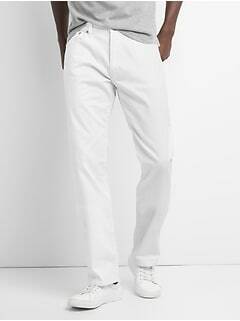 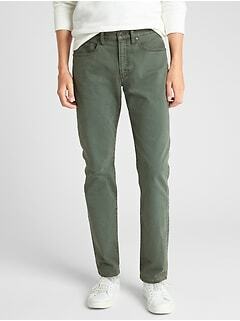 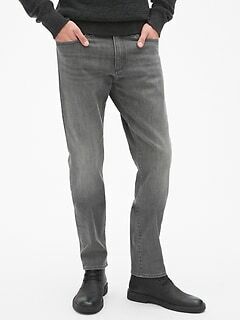 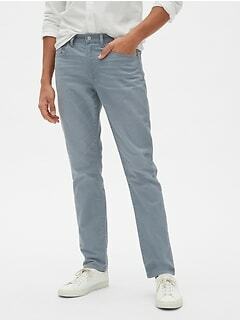 When you need comfortable yet classically stylish pants, check out Gap's selection of stretch jeans for men. 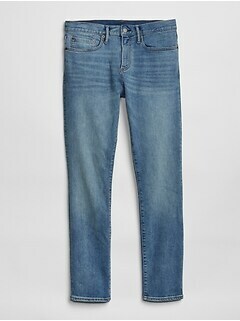 Showcase your fresh and unique style with Gap's leading collection of stretch denim that is ahead of the trends but rooted in traditional Americana vibes. 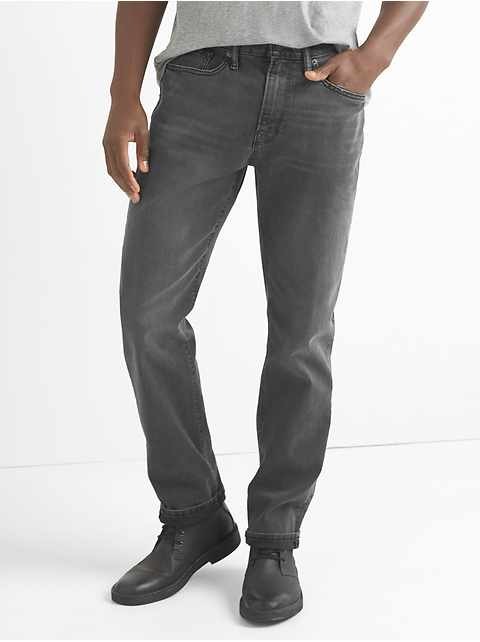 Explore the range of colors, washes and cuts from pink and dark wash to skinny, boot and more. 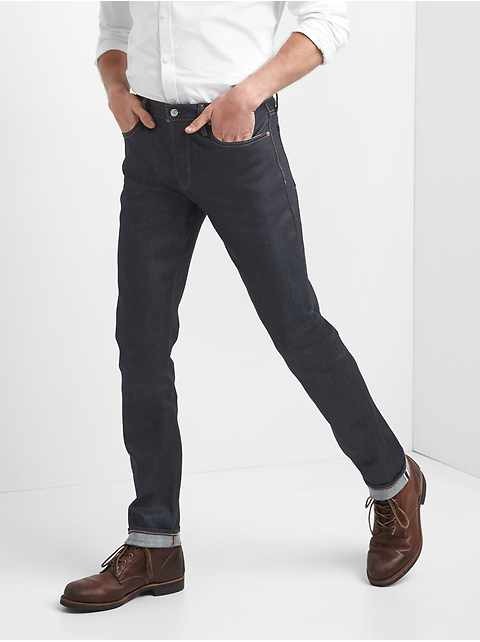 Craft a look that's all your own with comfortable, effortless stretch denim. 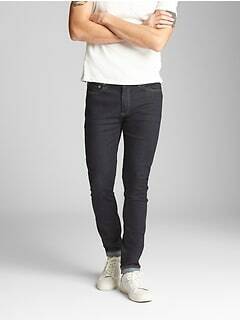 Enjoy versatile men's stretch skinny jeans in casual, everyday looks or in more elevated ensembles. 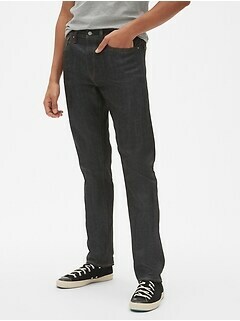 Find the winning combination of fashion and comfort with stretch jeans for guys at Gap. 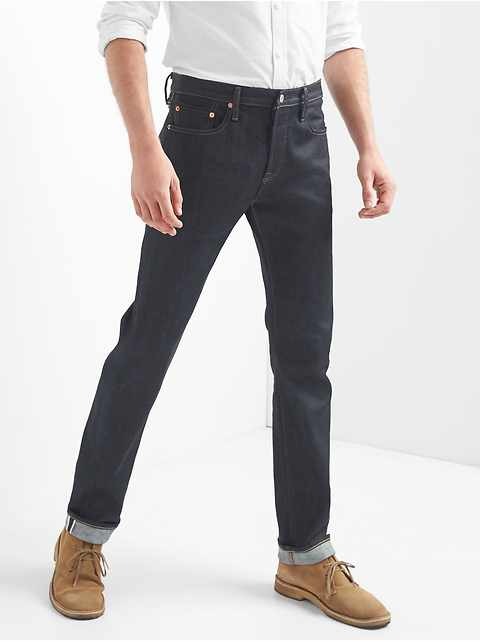 Looking for jeans that won't constrict, or hold you back? 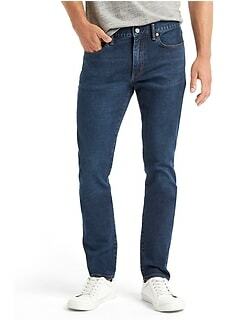 Look no further than Gap's collection of men's stretch denim jeans. 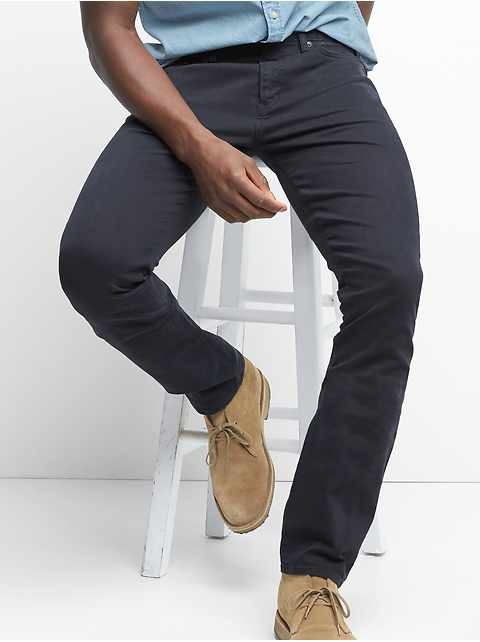 Featuring GapFlex technology, each pair offers a perfect fit with all day hold, ultimate flexibility, and undeniable comfort. 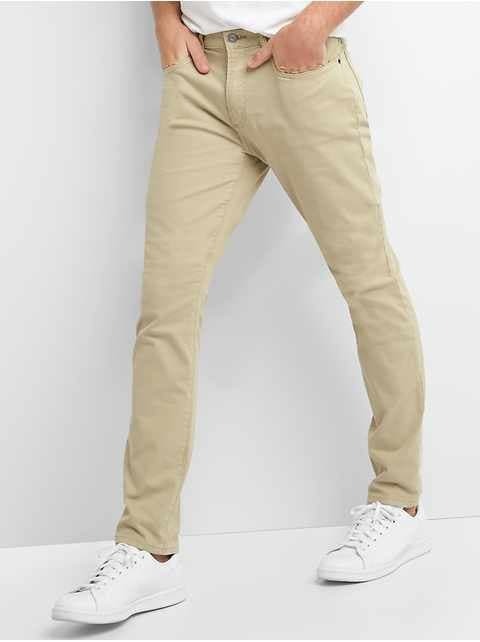 Wear your favorite pair every day with confidence as they durably keep up with you no matter what your day holds. 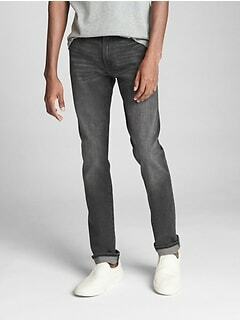 Gap's premium denim is crafted from cotton with a touch of spandex so you can wear and wash easily. 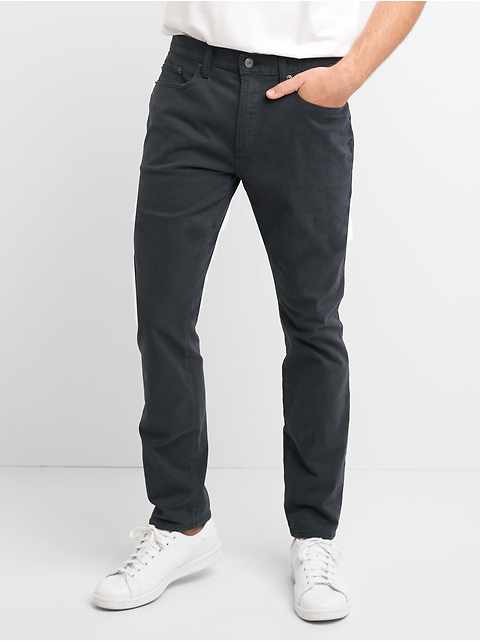 Classic five-pocket styling and button closures with zip flies are rooted in tradition for a timeless look, while modern cuts and shapes like bootcut, skinny, and slim fit help you stay fashion-forward. 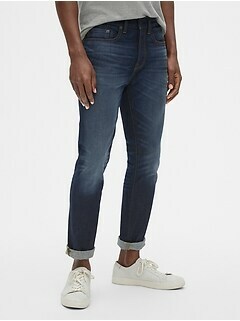 Get the look with stretch jeans for men from Gap. 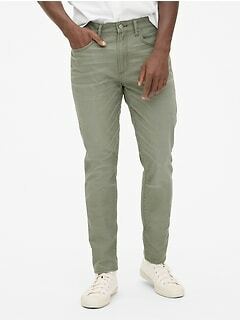 Browse a range of men's slim stretch jeans and bootcut stretch jeans in a wide array of colors and washes to suit any ensemble in your closet. 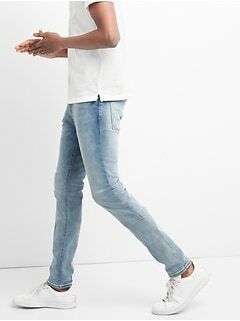 Raw denim looks great with white shirts, and you can't help but have fun in a pink pair of jeans. 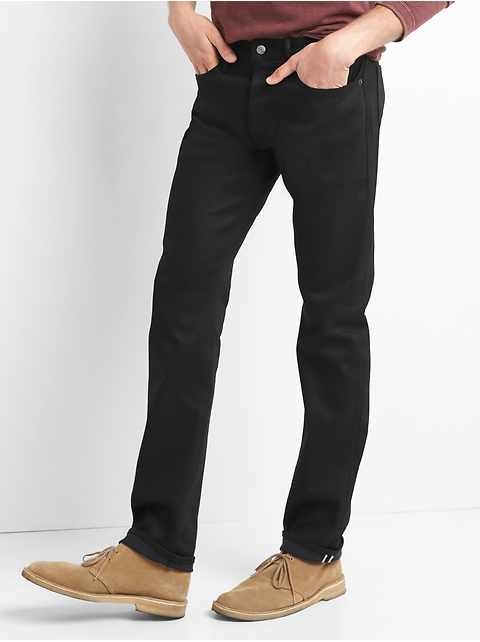 Black rinse is elegant for a dressier occasion with a blazer and dress shoes. 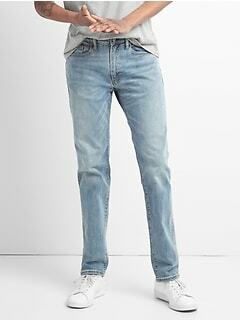 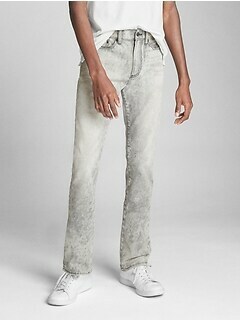 Go acid wash for a funky weekend concert or ball game with the guys. 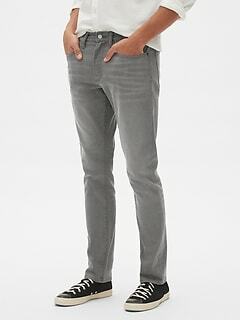 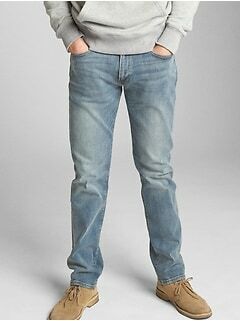 Gap's stretch fit jeans for men help you look and feel great. 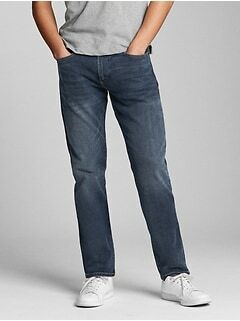 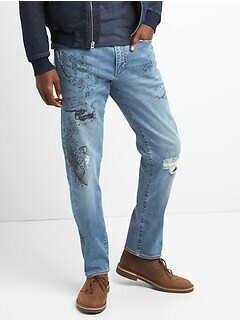 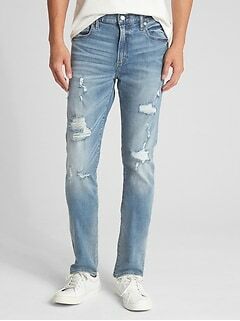 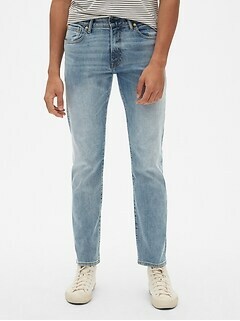 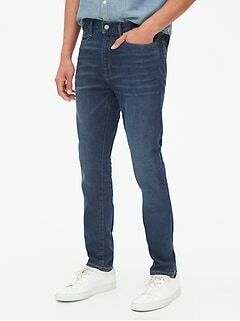 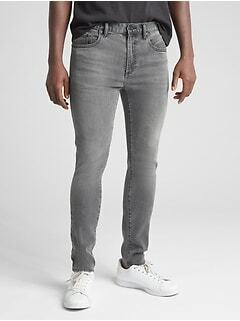 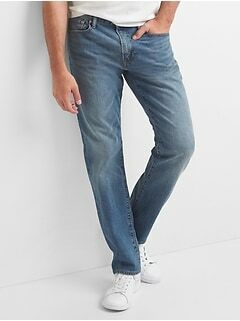 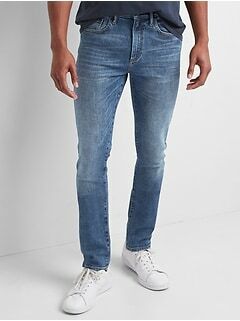 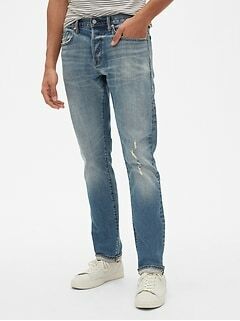 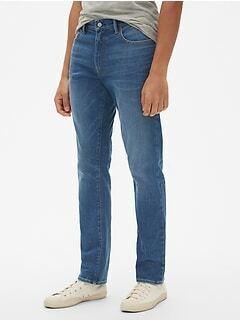 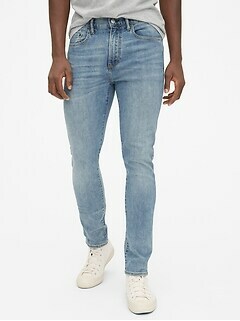 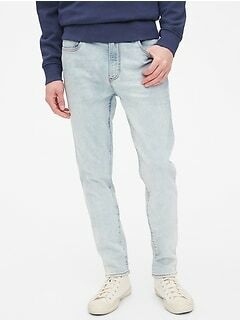 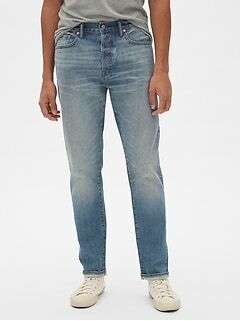 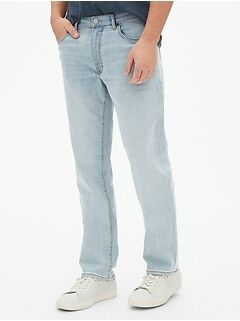 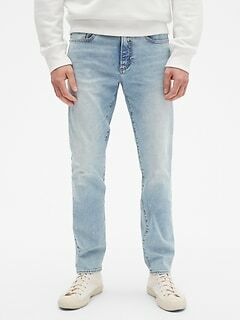 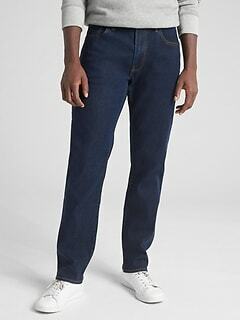 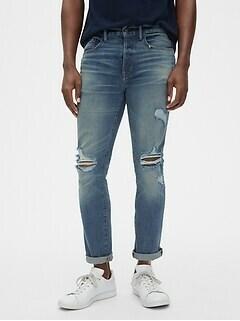 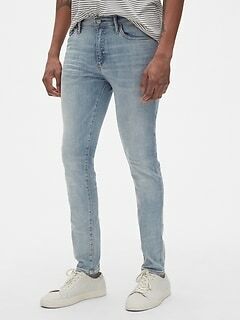 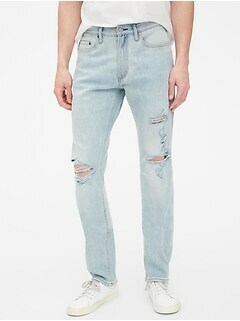 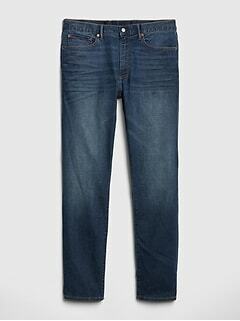 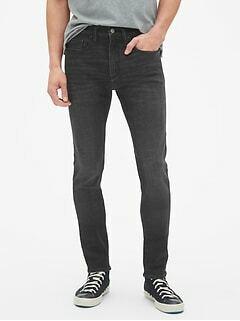 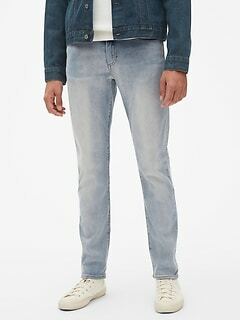 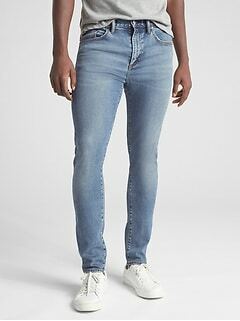 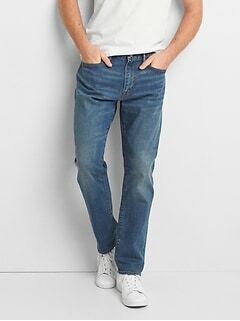 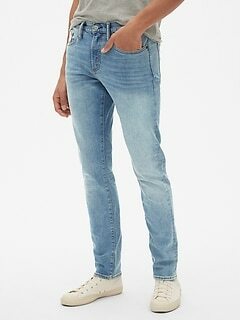 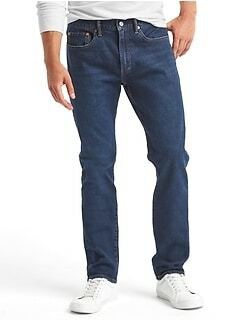 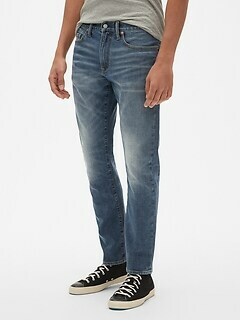 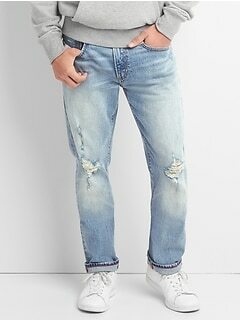 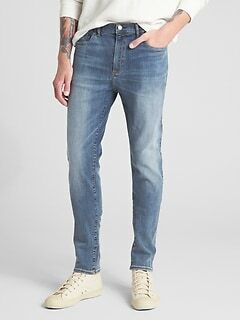 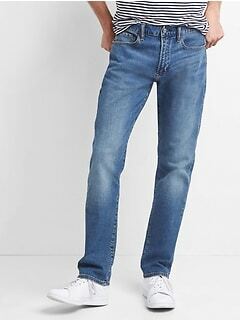 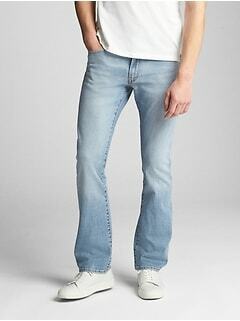 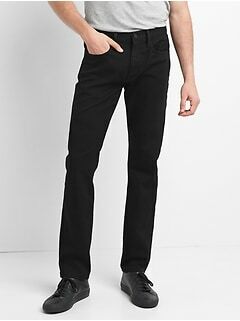 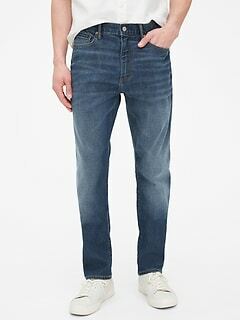 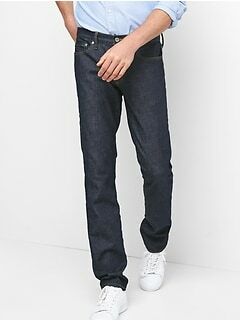 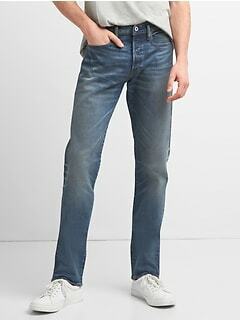 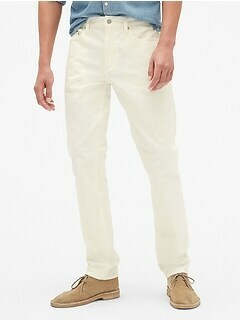 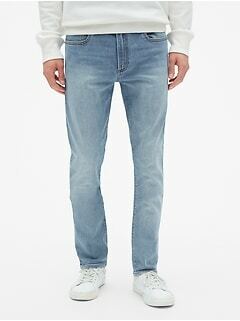 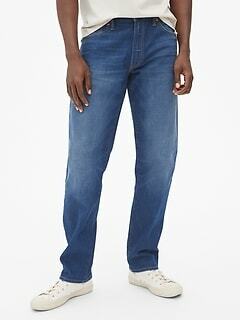 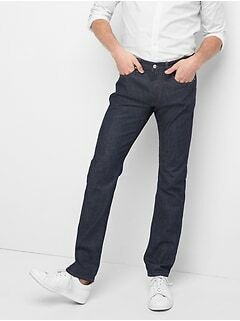 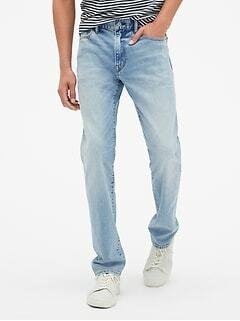 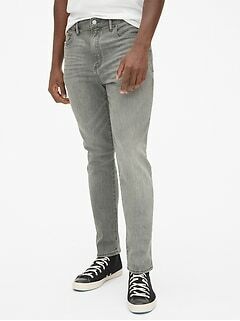 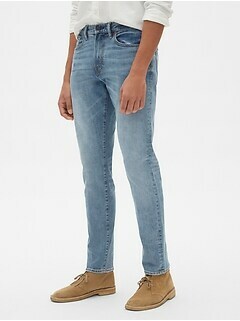 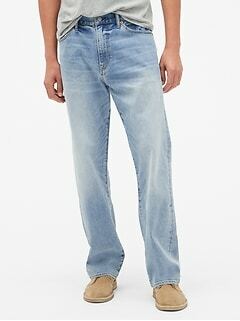 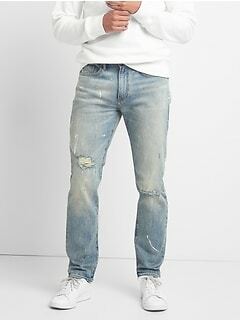 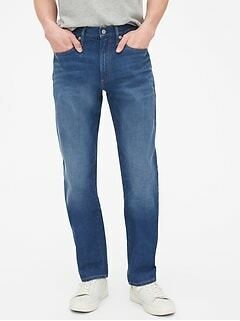 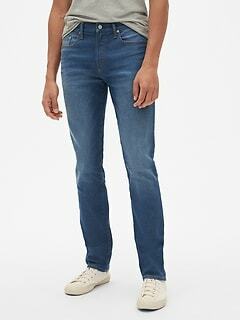 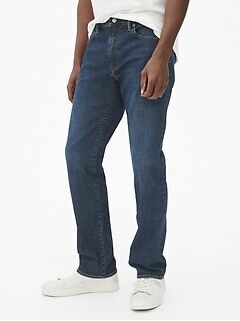 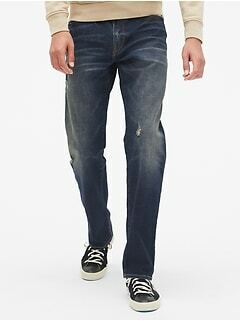 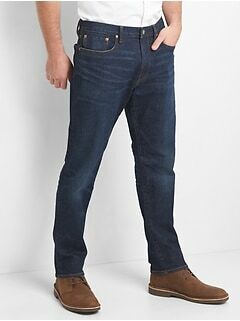 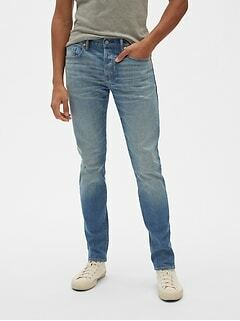 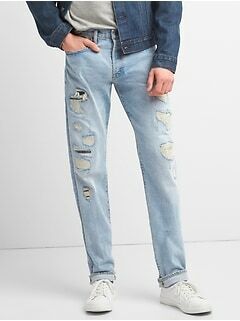 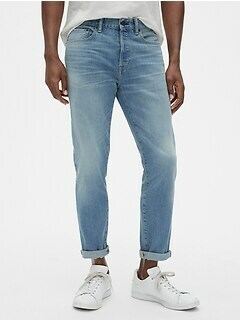 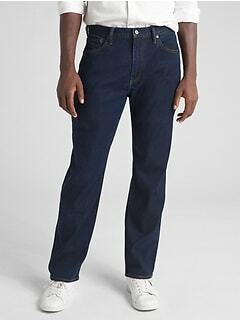 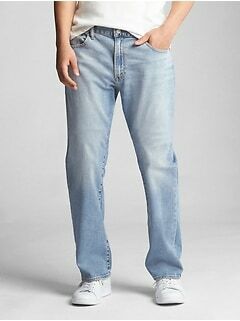 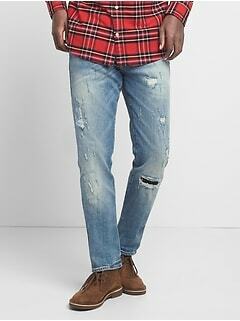 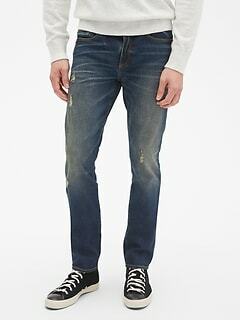 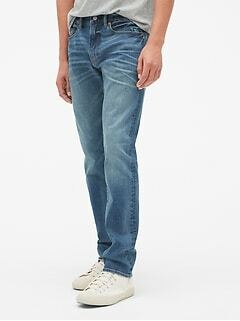 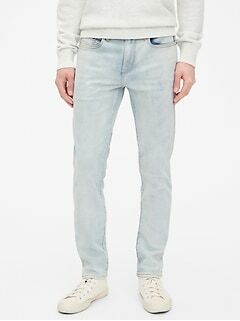 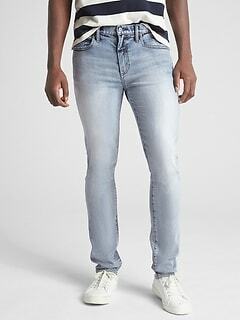 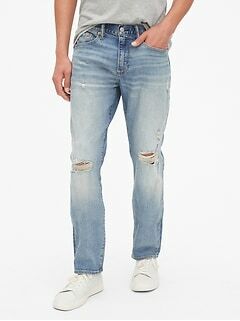 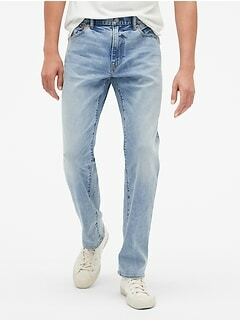 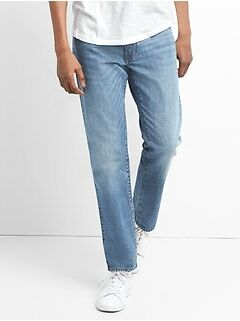 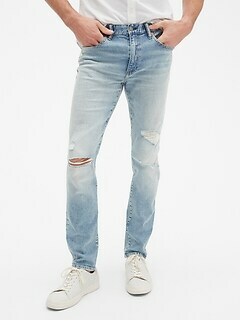 Shop Gap today for high-quality and always stylish men's jeans with stretch construction for comfort.